Have you ever been to an ice cream shop that made you want to return numerous times in just one day? If not, you're missing out. Denver has some of the best ice cream shops I've frequented. No matter what area of Denver you are in, there is likely a perfect ice cream shop for you in the mile high city. All of the options below have competitive pricing. This mom and pop ice cream shop has been in business for years. In fact, I remember getting ice cream there as a child. Whenever I am in the area, I have to stop by. With a very friendly atmosphere and an old-fashioned feel, this is the ideal ice cream shop for those looking for a little nostalgia and a lot of flavor. Bonnie Brae has over 50 flavors. Some of those include Blueberry Cheesecake, Black Walnut, Tiramisu, Bubble Gum, Butter Brickle, Red Raspberry Roll, Pumpkin Pecan, and Gingerspice. Located just a few minutes outside of Downtown Denver, in the Capitol Hill neighborhood, Liks is appropriately named. There is no such thing as only one lick here. You will definitely want more. An award winner, and formerly known as Lickety Split, Liks is a favorite among neighborhood residents. Ask any of them about it and most will tell you the neighborhood would not be the same without it. 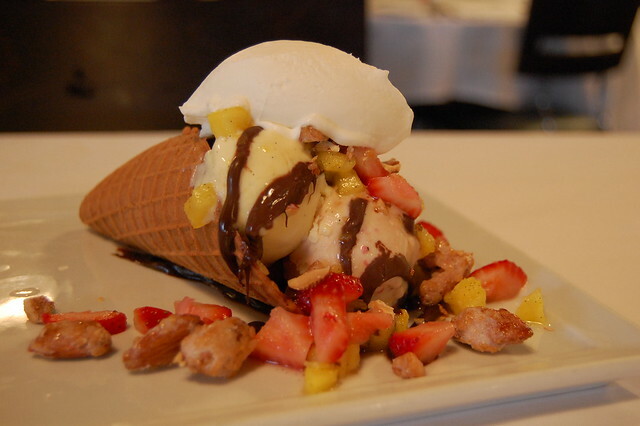 This ice cream is homemade and many flavors include fresh fruit and/or nuts. If Liks does not have the flavor you desire, let them know. They design their flavors around customer requests and they will even call you when they have your custom-requested flavor in stock. Liks is somewhat of a trendy spot. This is where everyone in the neighborhood (and surrounding areas) goes to hang out, young and old. Yes, Baskin Robbins is the ice cream store that was known for 31 flavors. The ice cream store, now a large chain, has grown immensely since then and now boasts over 1,000 different flavors. Each one is tasty in its own unique way. The location that seems to be the most popular among Denverites is the one in Aurora on S. Havana st. Aurora is one of the major cities located right outside of Denver. Some of the classic flavors available include Chocolate Chip Cookie Dough, Pralines N' Cream, Mint Chocolate Chip, and Very Berry Strawberry. Baskin Robbins also supports youth and schools by offering free ice cream prizes for reading programs. They also give out what are called Scooperstar Awards. Baskin Robbins is always busy, but they always seem to handle the orders quickly and are very friendly. Cold Stone Creamery in Englewood (just outside of Denver) is often considered a gourmet ice cream shop by locals. At Cold Stone Creamery, you'll see your ice cream custom-blended on a frozen granite stone, using ingredients such as premium ice cream, fresh fruit, and nuts. To some, it may sound odd to blend the ice cream on a frozen slab of stone, but it really does seem to make a difference. Some of the many fine flavors you can experience at Cold Stone are Berry Berry Berry Good, All Lovin' No Oven (one of my personal favorites), Cheesecake Fantasy, Mud Pie Mojo, That's How I Roll, and The Pie Who Loved Me. Cold Stone Creamery generally offers a fun and friendly environment with all different types of patrons.